Jim Romeo is a freelance copywriter based in Chesapeake, Va. He is an experienced engineer with an MBA from Columbia University. His writing focuses on business and technology topics. 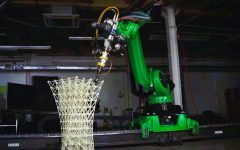 As additive manufacturing disrupts the manufacturing industry, robotics developers can take advantage as well. Autonomous sailboat competition tackles challenges of moving robotic boats on the water and avoiding collisions. Training employees on complex processes in manufacturing and assembly is a good use case for augmented reality and virtual reality. Here are some innovative AR/VR providers. North American robotics includes strengths in automation innovation, AI investment, and manufacturing end users. How are the U.S., Canada, and Mexico building their industries and responding to international competition? How companies are finding benefits from using aerial drones in construction, agriculture, industrial inspection, and public safety. New machine learning techniques are helping to create robots that are better and faster for moving products from origin to destination. Is Your Warehouse Ready for Logistics Robots? Download: How robots are transforming the warehouse into a modern and strategic asset. 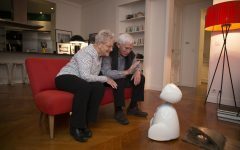 An aging population is driving demand for therapeutic and companion robots within the home. Here are some examples. Soft Robotics has developed compliant grippers that mimic biological designs. This approach to robot grasping is less complicated and more affordable than other methods.